Welcome to the PingSunday, table tennis blog of coach EmRatThich: a place to learn table tennis correctly and with fun. I’m a table tennis coach at a small club in France. I create free table tennis coaching videos every Sunday (That’s why this blog is called “PingSunday”). Using Chinese techniques, I give you the best tips to improve your table tennis skills quickly. I have played table tennis at the age of 8 in Vietnam. I coach young developing players since 2012. With my friend (Chinese), we have learned a lot the Chinese philosophy about table tennis. By creating this blog, I want to share with you this knowledge. You will enjoy more your table tennis by staying with me on “this journey to China“. My slogan in table tennis is “In Spin We Trust”. You can ask me any question by commenting on this blog, or private message on my Facebook page. You can also join the group “Table Tennis Connect” to discuss with many other enthusiastic players about Chinese rubber, equipment, tactics, coaching, and comment table tennis matches. Table tennis technique of the Chinese players is superior. If you want to become better in table tennis, learn from the best. Learn the Chinese footwork, the modern Chinese loop technique, “power from the ground” concept, “acceleration at the right timing”, “hit with the legs”, “how to serve”, “yin pai”, “tactics for specific situation”, “4 main footwork patterns”, and many more. Understand the table tennis career of the top players (not only Chinese player). And also the pro’s equipment. Table tennis is a very hard sport. It takes time to improve your techniques. But once you understand the fundamental of the game (tactics, advanced techniques), you will improve fast! 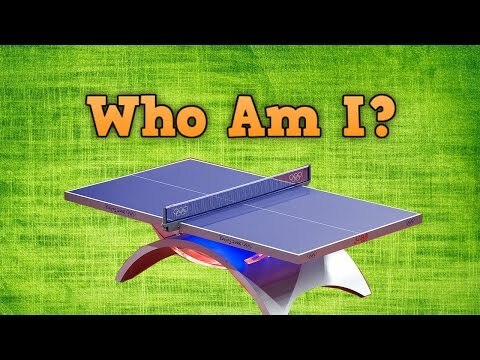 The fundamental techniques that every beginner need to learn in table tennis. You need to learn to perform the basic strokes correctly. Do it slowly, but learn the mechanism of the stroke. Beginners don’t focus enough on the timing of the strokes. Hence, they can’t improve fast in table tennis. At this stage, you should feel the ball. Feeling and knowing how to impact the spin to the ball is the most 2 important lessons. Advanced table tennis techniques are for intermediate and high-level players. These techniques need to be incorporated into your training sessions. After you have a solid foundation in table tennis, you need to improve the explosiveness, the timing, and the power of your shots. How to choose the best equipment in table tennis. Buying the wrong racket can ruin the development of your skills. It’s nothing wrong to investigate your dream combo! Basic rules in table tennis for players, coaches, and umpires. What are the legal services? double rules, tournament, ranking rules and more. Table tennis tactics and match strategy play a decisive role at the world-class level. Tactics can change the outcome of the match. A good table tennis coach can find out the weakness of the opponent. A good coach can also give confidence to his players. Best tips, tricks, and advice from coach EmRatThich and other coaches. Useful tips help you improve quickly your table tennis skills. Read the testimonials to know that these tips are really helpful. Have any question? Ask me via the Contact Form. Best table tennis players of all time. Learn their techniques, their personal life, their equipment, and how they become the top world class player. Watch the grand slam players: J-O Waldner, Ma Long, Zhang Jike, Liu Guoliang, Kong Linghui, and other professional players. Tournament and event highlights. Funny matches & Coverage of the Olympics, World Championship, World Cup, ITTF World Tours, League in Japan, Europe, China, etc. Firstly, you should read and understand the principle of this sport. Secondly, learn basic table tennis techniques. Learn the advanced technique and improve your skills by doing your daily training. I answer your FAQ (Frequently asked questions) in this video: motivation, training method, equipment, my journey to China and more.